Herman Cain has a complete meltdown on foreign affairs questions asked about Libya. These questions are softballs to anyone who had even minimally read the public press about Libya. The fly in the smelly, rotten conservative ointment is the fact that President Obama has managed to succeed, despite the conservatives own very best efforts – sometimes treasonous – to make him, and thus America fail. Obama has cut the number of troops serving in Afghanistan and Iraq by half. From 180,000 when he took office to 90,000 today. Obama has an exit strategy for Iraq, and the US should be out by the first of next year. Obama succeeded where Bush failed for 8 years and brought the architect of the greatest terrorist attack in history on the soil of the US to Justice – Osama Bin Lauden. Obama has succeeded in killing more Al Quaeda terrorists in his first 3 years of office, than Bush did in 8 years with the help of 350,000 troops on the ground. Successful negotiation of a new START Treaty. Staying the hell out of Egypt, and not sending troops in to protect a dictator. Ghadaffi has met his end, and without a major force of American troops ever landing on Libyan Soil. Even conservatives who aren’t blinded by their racism are beginning to figure it out. 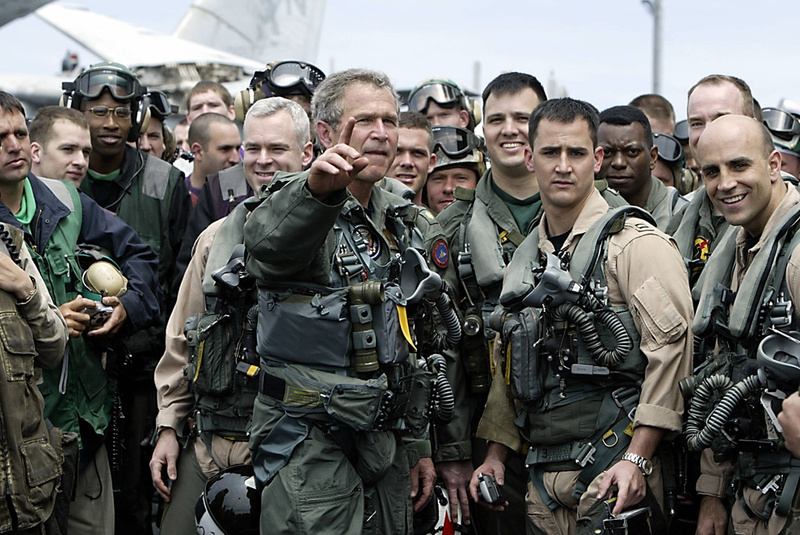 Had this been a conservative President, undoubtedly we would have been treated to the sight of an American President in tight, sock stuffed pants prancing around on the deck of a Carrier thumping his chest. Libyan strongman Muammar Qaddafi is dead. The news from the Middle East is vindication of the Obama administration’s policy in Libya. A man who was an enemy of the American people, someone who killed Americans aboard Pan Am 103, someone who was taking out Americans and acting against our interests in the Middle East for decades has finally been eliminated from the scene. And all this talk about “leading from behind” needs to be put in context. First of all, President Obama never said anything about “leading from behind.” What the president said was he didn’t want to put additional American troops in the Middle East in the middle of a Muslim country. We are already fighting not only in Iraq but in Afghanistan. We have tremendous troubles in Pakistan. President Obama allowed the multi-national force to be in a position where they could act with tremendous American support. The American public would never have supported pouring additional troops into Libya. By building an international coalition, the president managed, nonetheless, to make Americans part of the fight and oust Qaddafi. Critics on the right have flip-flopped on this issues from the beginning on whether or not America should have played a role, any role, in supporting the anti-Qaddafi forces. Today’s events are another reminder of how pure political concerns can blind people to America’s best. Essentially America has been at war in Libya. And tonight or today, this morning, what we’ve seen is that that policy has led to the ouster and also the death of Muammar Qaddafi. That’s good news for America. I don’t care if you’re a Republican or a Democrat. This is good news. For President Obama, after the death of Bin Laden, Al-Awlaki and now, indirectly, Qaddafi, he’s left with a terrific narrative in terms of making the case that Democrats aren’t weak on national security and that he has pursued a number of President Bush’s policies in terms of being aggressive. This has been in service to America’s national interest and the best outcomes for every American.If you look at the president’s use of drones, for example, he decision to keep using Guantanamo Bay to house detainees, these are things that have absolutely antagonized the left in this country. But if you’re looking at results, you can’t argue with the results. A man who was America’s enemy, who was a destabilizing force in the Middle East and a supporter of anti-American forces has been removed from the stage. This one from the Tripoli Post. There are unconfirmed reports that Muhhhamar Ghadaffi was killed when NATO planes struck a convoy in which he was travelling trying to escape. 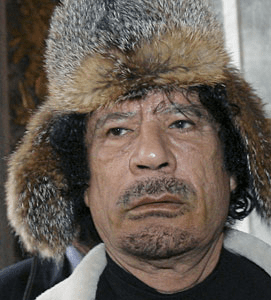 Unconfirmed reports from Libya indicate that the former Libyan dictator Muammar Al Qathafi has been captured and killed. This comes after the revolutionaries took Al Qathafi’s hometown of Sirte, and the final stronghold of his loyalists. A senior NTC official has said that Muammar Al Qathafi has died of his wounds after being captured near Sirte and that the head of his armed forces, Abu Bakr Younis Jabr has also been killed. But then Abdel Majid was reported saying that Al Qathafi was trying to flee in a convoy that had been attacked by NATO warplanes, and that Abu Bakr Younus Jabr had been killed during Al Qathafi’s capture. Majid said NATO warplanes struck the convoy and hit four cars as it headed west. Ahmed Ibrahim, a cousin and adviser of Ql Qathafi, was also captured. He went on to say: “He’s captured. He’s wounded in both legs … He’s been taken away by ambulance.” He added that Younis Jabr, the head of Al Qathafi’s armed forces, was killed during the capture of the former leader. The news came shortly after NTC claimed capturing Sirte after weeks of fighting. The NTC top officials have not yet confirmed Al Qathafi’s capture. Neither NATO nor the US state department could confirm the reports of the capture of Al Qathafi who has not been seen since NTC fighters seized Tripoli, the Libyan capital two months ago. Sources have told tripolipost.com that Al Qathafi’s body is being taken to a hospital in Misurata so that the medics could confirm or not that the dead body belongs to the former Libyan leader. Meanwhile in Benghazi, crowds gathered in the streets have started to celebrate the reports of Al Qathafi’s capture. Sources to the NTC were said to be very cautious and must make doubly sure that A Qathafi has been captured. The suggestion should, at present, be taken with a substantial pinch of salt after earlier question marks over the “capture” of Al Qathafi’s son Seif. Now – if we could only follow suit and put a few of our own war criminals in jail (preferably without the bloodshed) who lied us into an illegal invasion of Iraq. Ghadaffi Had The Hots for Condi? Ooooooo! Turns out (soon to be) former Leader of Libya, Muhammar Ghadaffi had the hots for Former Secretary of State Condoleeza Rice! Meet me in the casbah ...Ineed. As Rice prepared to depart Libya, Qaddafi showered the U.S. official with $212,225 worth of gifts, including a diamond ring in a wooden box, a lute and an accompanying DVD, and a locket with Qaddafi’s own picture inside, according to a State Department report. He also gave her “Wonder-Womanesque wristbands” and an autographed copy of his revolutionary Green Book with an inscription that expressed his “respect and admiration,” per a New York Times account. Damn – Nice to see there is still ONE sane Republican left in the Party! Graham understands what is at stake, and why the US is peripherally involved. 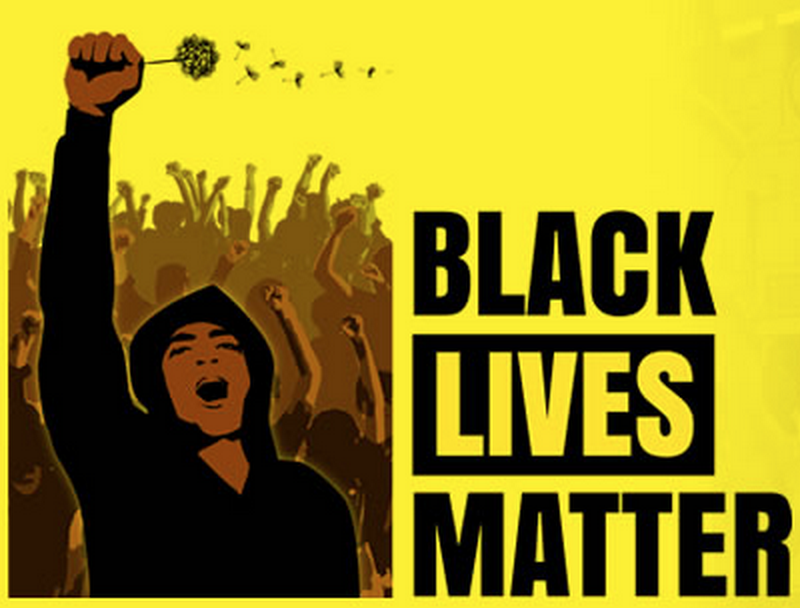 Cynthia McKinney… The Tripoli Trixie? During the Vietnam War many dubbed Jane Fonda as Hanoi Jane for her visit to North Vietnam during the War. 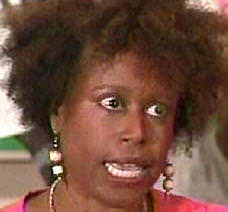 Looks like we got our very own Tripoli Trixie in moonbat extraordinaire, ex-Congresswoman Cynthia McKinney. Not much different in reality than some of the moonbats on the right like Michelle Bachman or the Sno’ Ho’ – just without the benefit of a Faux News network to try and propagandize some credibility out of inane ramblings. You deserve to get effed. But Khadaffi is a scumbag. Tripoli Trixie has no business over there sucking up to that monster. The station is fiercely loyal to Moammar Gadhafi and her interview was spliced with what appeared to be rallies in support of the embattled Libyan leader. Yeah… They got “Birthers” in Libya too! What if the biggest mystery surrounding Col. Moammar Gadhafi had nothing to do with his long, brutal reign as the world’s most eccentric and violent leader turned pariah? And what if a long-lost letter from a Catholic cardinal who knew Gadhafi’s true identity was evidence that could have solved the mystery? To many Libyan people, the biggest question mark about Gadhafi does not involve his repressive and dictatorial rule, delusional statements or brazen lies. Behind closed doors, for years, they’ve wondered if he is Jewish. Last week the issue came out in the open, asNBC’s Richard Engel reported from Libya that one in five rebels was fighting Gadhafi because he believes the leader is Jewish. Conflicting reports surrounding Gadhafi’s birth have circulated since about 1970, two years after a Gadhafi-led coup made him the de facto leader of Libya. In a handful of biographies from years ago, mostly written by Europeans, Gadhafi is almost always described as being born in a tent in Sirt, the son of a poor, illiterate Bedouin sheepherder and his wife. But the hushed-up rumors in Libya about Gadhafi’s parentage involved his mother being Jewish. The stories have conflicted over the years, and the narratives are different. One had her converting to Judaism at age 9. In another, Gadhafi’s grandmother is Jewish but leaves her husband for an Arab sheik. A more specific claim, backed up by a Libyan historian, is that Gadhafi was born out of wedlock to a Jewish woman and an Italian soldier in a village east of Tripoli. Because of the shame surrounding the birth, the baby was given to a Catholic cardinal who in turn gave the child to the sheepherder and his wife.